Would you recommend Parsey McParseface to a friend? This better be at the top of PH tomorrow if only for the name. I mean, the tech is also stupidly cool too. @chrismessina Already up-voted for precisely that reason. Now, I guess I'd better check what it is. @chrismessina What is this supposed to mean?? If it's goal was to make me feel like I have no idea what this does, mission accomplished. I am actually curious though, is this in the machine learning field, NLP, or something like that? @rrhoover I'm not 100% sure, but: I remember doing a developer test for a job where I had to write a program to parse input text and deduce the language in which the text is written. I think this library makes the bulk of the work for a program, as such, much easier (though need to look into it deeper to confirm that). I'm guessing this is super useful for translating texts, knowing what a webpage is all about, etc. Love it. It's libraries like these that open the doors for everyday product applications.... What do you think this could be applied to? The name is amazingly cool! @orliesaurus As a consolation prize, though, the on-board submarine vessel was named "Boaty McBoatface". Haha! 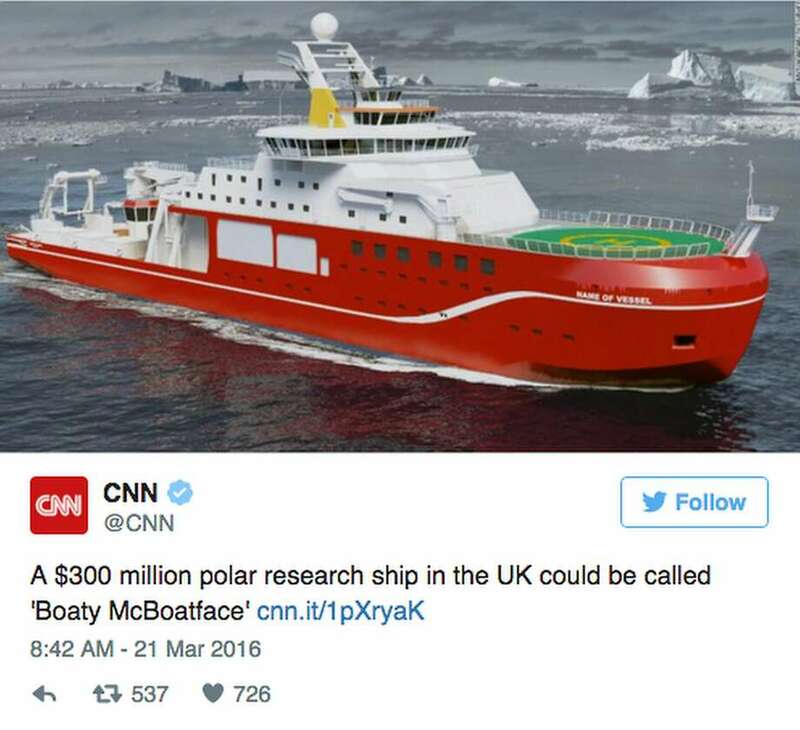 Feels like the name carries on the legacy of the NERC's new ship that the public voted for to be called Boaty McBoatface!